A peacock inspired tattoo design for all of those who love tattoo mehndis. Tattoo mehndi is a great way to add some colour without pain and as they are not permanent, you can remove them once you get bored of them. 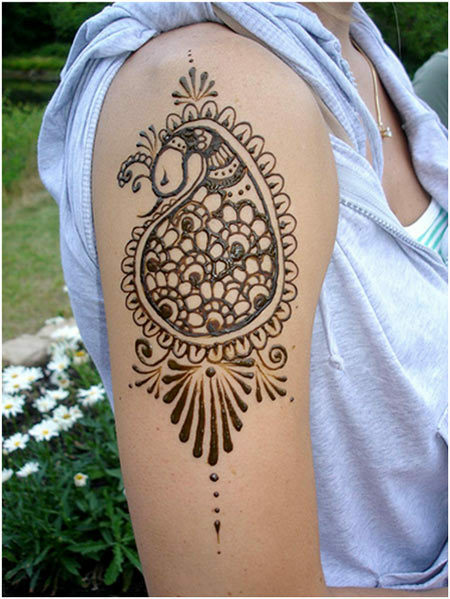 This mehndi tattoo is done with black mehndi and features the peacock design on the hand.